This boot is sure to command respect & attention. 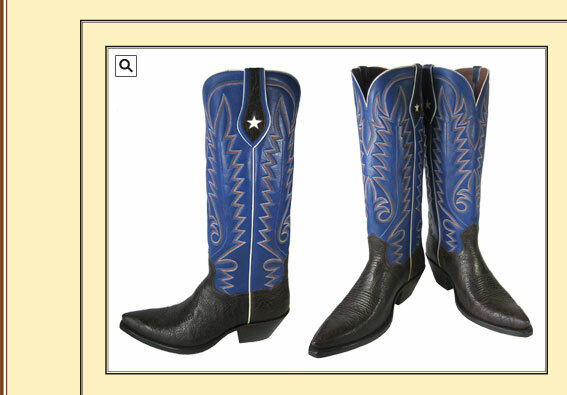 Rich Bullhide foot & pull trim, a beautiful blue calf top with multi colored stitching & white piping. Shown with a very narrow square toe & 2 1/4" dress heel.